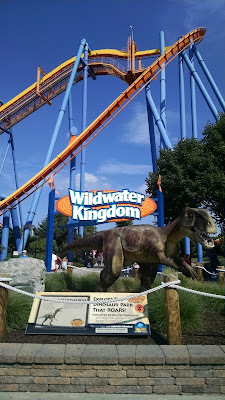 We spent the last two hours at Wildwater Kingdom, the water park at Dorney Park. When we were ready, we went out to our car (we got a hand stamp for re-entry) to get our bathing suits and towels. We also got a snack from the car to sustain us. Lockers are more expensive here prior to 5pm, so we waited until after 5 to get a locker and change into our suits. I don't have rating information for the rides we did here since we didn't write anything down (water) and no photos (water), but I think what's listed is what we rode. Please note that Eric and I don't do body slide rides, only rides with tubes. We raced against each other on the Boa Blasters. 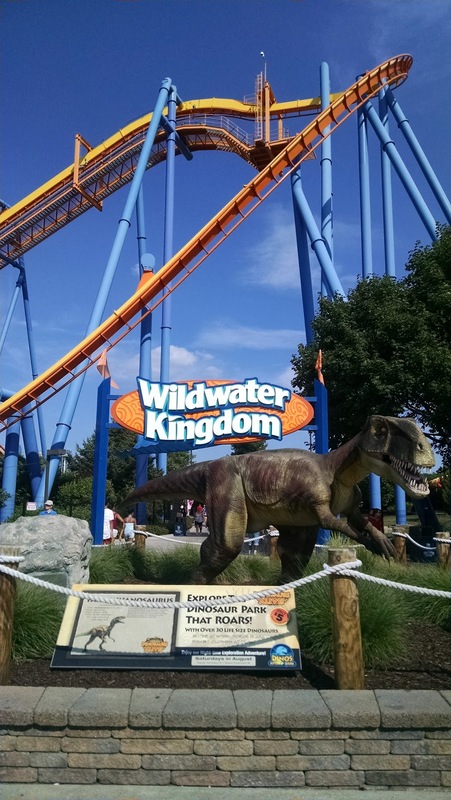 They have two lazy rivers, Runaway River and Wildwater River. Neither is particularly lazy but Runaway River is not that relaxing at all; both are fun.